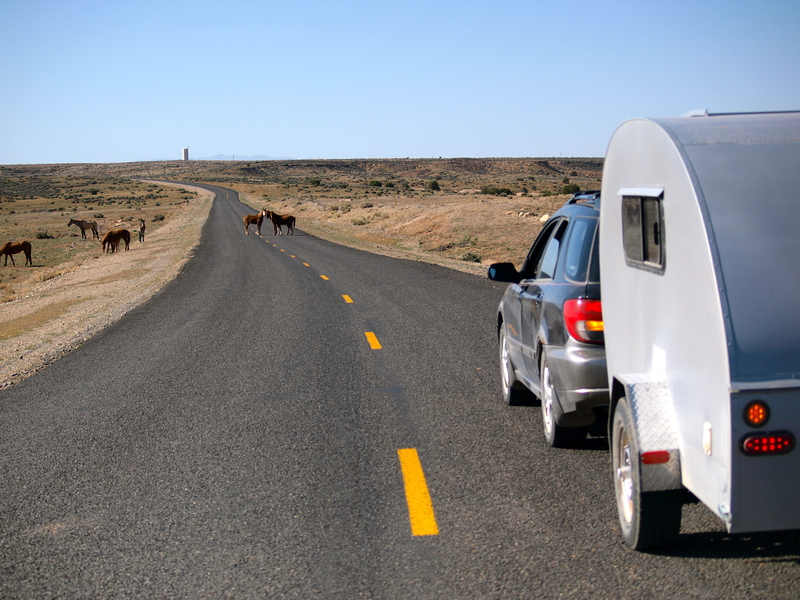 ← On the Road, Again: Green & Grassy Colorado! Nearing the turnoff for Mesa Verde National Park, I realized it was Easter weekend. No way do I want to be a in a National Park on a holiday weekend! I love ruins and Mesa Verde is a spectacular place, but I always have a harder time envisioning what life must have been like in ancient places when I’m surrounded by lots of modern people. So I veered north and west and ended up in the Canyons of the Ancients National Monument, on the Colorado/ Utah border. I stopped at the Anasazi Heritage Center, one of the nicest museums I’ve ever visited, and spent the better part of an hour talking with a volunteer park ranger there who was bursting with travel tips: free campsites, hidden petroglyphs, backcountry ruins, dog-friendly wilderness trails. Never underestimate the value of a knowledgable and enthusiastic park ranger! Thanks Lou! 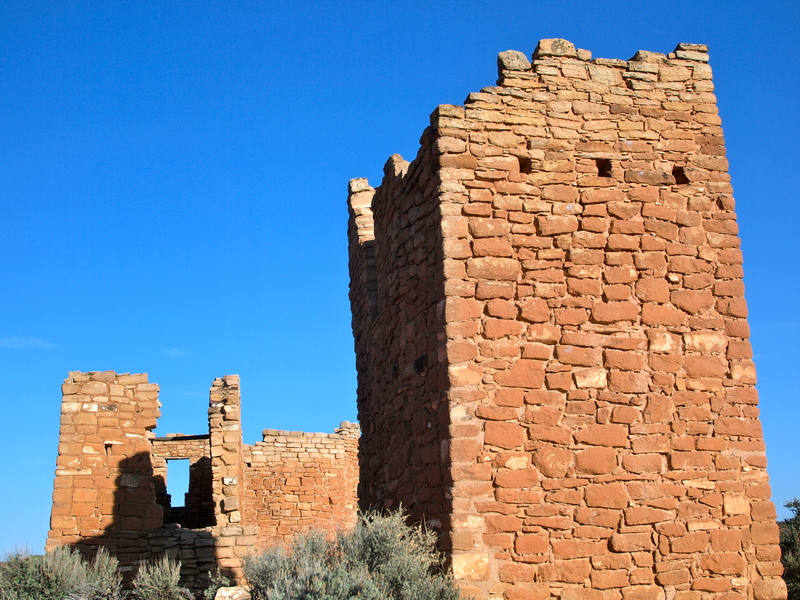 From there I headed to the Lowry Pueblo, a smaller community that thrived on the open pinon plains at the same time as Mesa Verde. This place was home to about 100 people, for 160-some years, before it was abandoned in the early 13th century. 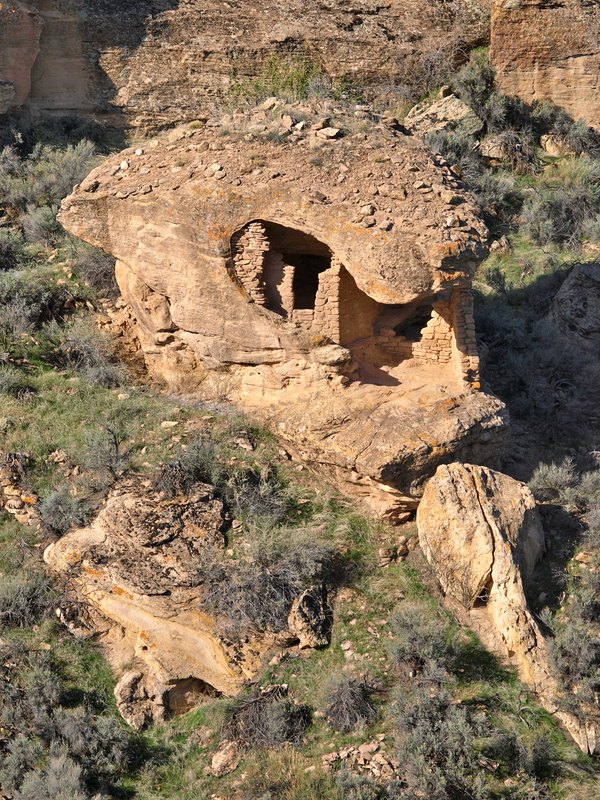 This region of southwest Colorado is dotted with dozens of these abandoned pueblos, most within a day’s walk of each other, all protected as Canyon of the Ancients National Monument. I was the only person there. Next on my avoiding-Easter-crowds list was Hovenweep National Monument, on the Utah- Colorado border. 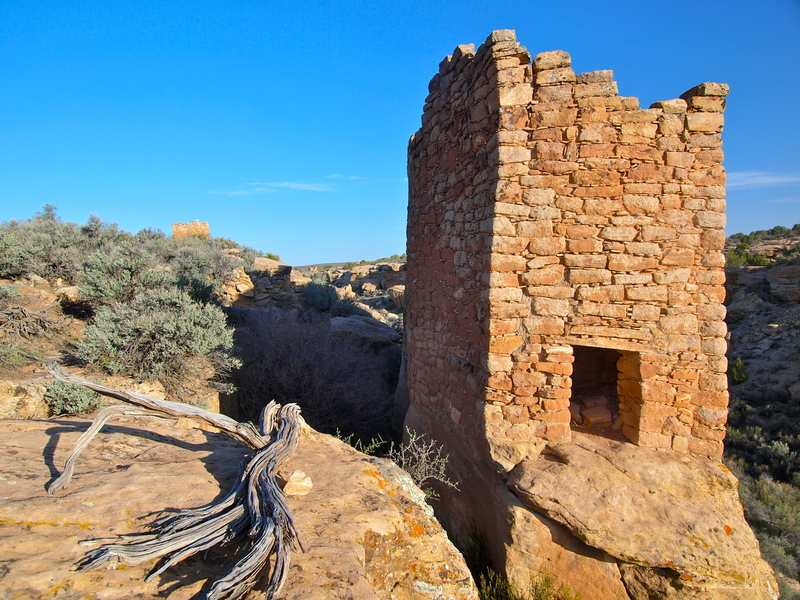 Hovenweep protects six Ancestral Puebloan communities (the proper term for Anasazi), all connected by an ancient backcountry trail network. 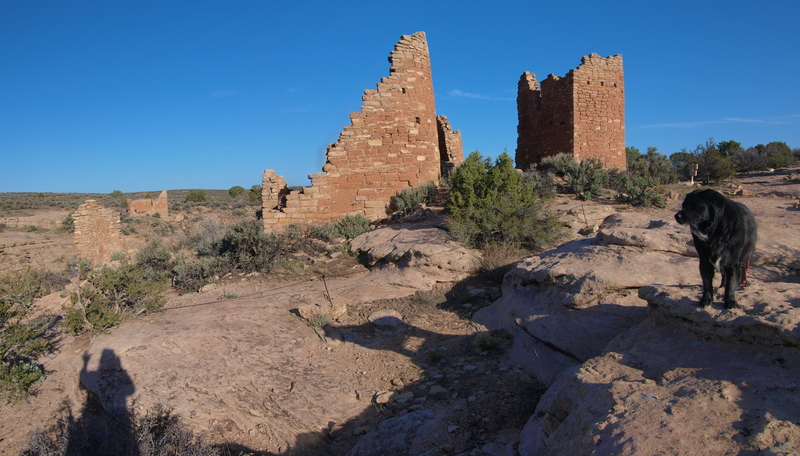 I hiked eight miles, round trip, between the Square Tower Group and the Holly Group, following trails laid down between the communities around 1100 AD. 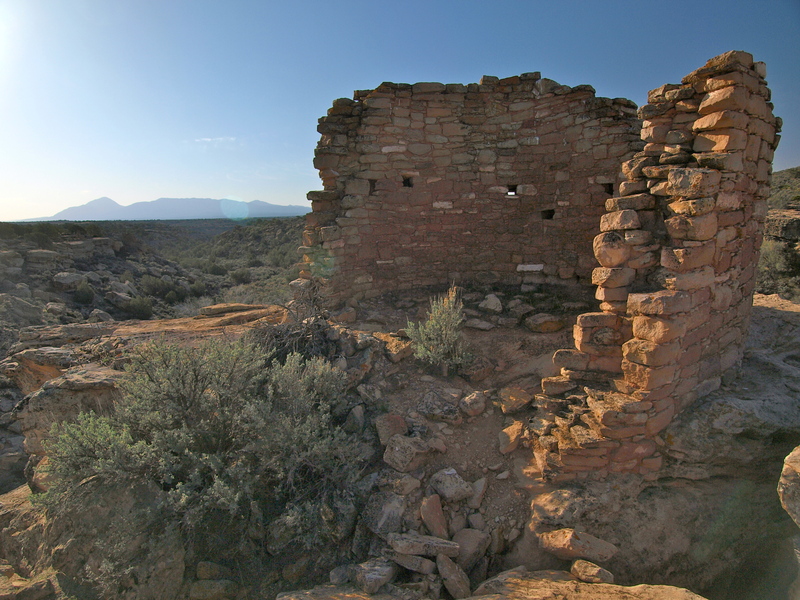 The Hovenweep ruins once housed communities of several hundred people; buildings were usually laid out at the headwaters of once perennial streams. Hovenweep is known for its unique and advanced architecture with many stone towers and structures built atop and within irregular boulders. 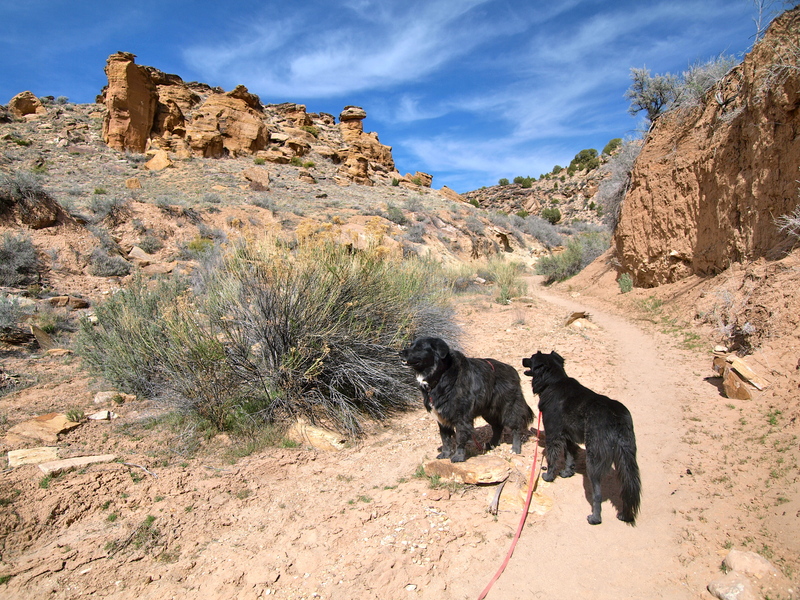 On both my hikes at Hovenweep, the 8-mile Holly Trail and the 2-mile Square Tower loop, I saw only one other person, a fellow photographer from Durango with his dog. The last entry on the Holly Trail register was from April 1st. Dog friendly and crowds-free: Now this is my kind of place! 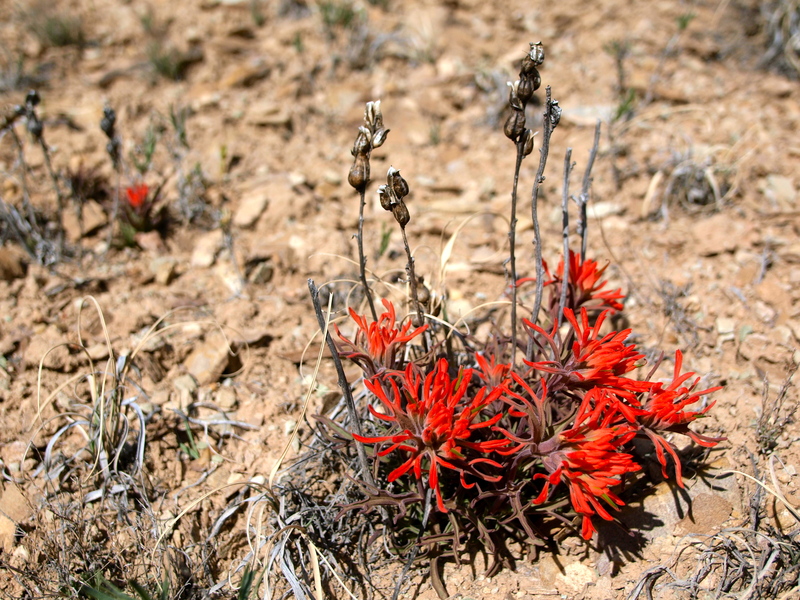 First Indian Paintbrush of the spring! I’m envious of all of your great adventures and lifestyle, keep it up! I visted Hovenwwep a few years ago – fascinating! The boulder house is just fabulous – imagine what a view you’d have! Am following your travels with much interest and more than a little awe! Hi there! I’m glad you found me. Southern Arizona is on my travel list for sure! Maybe next winter?